Posted September 14, 2018 by Charles Morris & filed under Newswire, The Infrastructure. Charging solution manufacturer Tritium will receive a portion of $3.2 million in federal funding awarded to the Electric Power Research Institute (EPRI) to develop an extreme fast charging system. 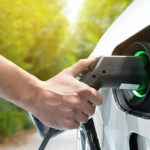 Tritium is one of several companies partnering with EPRI to develop a system for high-powered charging with a DC connection to the medium-voltage grid. The system will be designed to charge multiple EVs quickly at “extreme” levels while reducing the impact on the grid and providing physical and cybersecurity protection. “Our collaborative team will dig deeper into options for faster, flexible and more efficient vehicle charging, which could be key to maximizing the impact and acceleration of electrifying fleets of vehicles,” said EPRI VP of Integrated Grid Mark McGranaghan.